Actress Madhuri Dixit, who has carved her own niche in the entertainment industry by showcasing her versatility in dance and acting, says she landed her debut Bollywood role with 1984 film “Abodh” by chance. Madhuri Dixit spoke about it in an interview with veteran actor Anupam Kher on his chat show “The Anupam Kher Show – Kucch Bhi Ho Sakta Hai”. Madhuri spoke about it in an interview with veteran actor Anupam Kher on his chat show “The Anupam Kher Show – Kucch Bhi Ho Sakta Hai”. Recalling how she got “Abodh”, Madhuri said: “There was a person Govind ji, who used to work for Rajshri Productions and his daughter was in the same class as my elder sister. In school, he knew that I used to dance, act in plays and give speeches. However, Madhuri added that her parents said ‘no’ for the project as they wanted her to pursue her education. “Govind asked my parents to meet Rajshri heads to perhaps change their mind, so we went to their office. We felt we were in a home and not the ‘filmy’ kind… but they were simple and nice people. I still remember that they asked me to read a few lines from a book in Hindi to see if I had a Maharashtrian accent when speaking, but I didn’t. “Then later I had a proper screen test and they asked me to dance as well, which I did. Looking back, I feel like I didn’t have any qualms about performing and was very carefree about the whole process,” she added. After “Abodh”, Madhuri went on to star in films like “Ram Lakhan”, “Dil”, “Beta”, “Hum Aapke Hain Koun..!”, “Dil To Pagal Hai”, “Devdas” and “Gulaab Gang”. 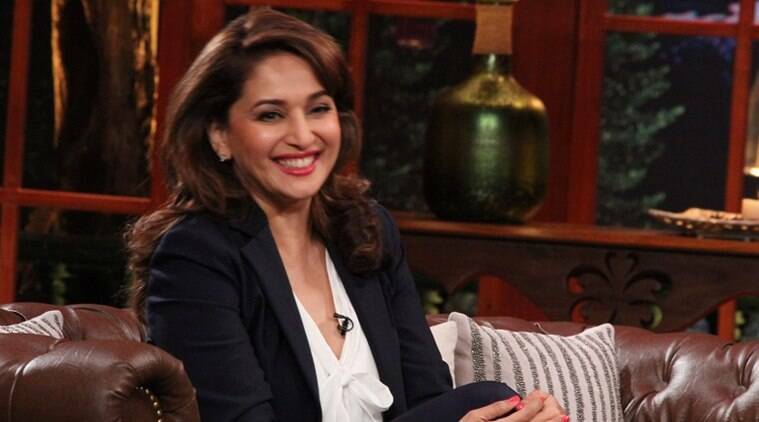 The episode, featuring Madhuri will be aired on Sunday on Colors.